Quick one today. Bon Appetit rounded up a couple Mother’s Day gift ideas from the moms on staff and I wanted to share my pick with you. (And also hope that maybe my children come upon this post??? Hint hint.) 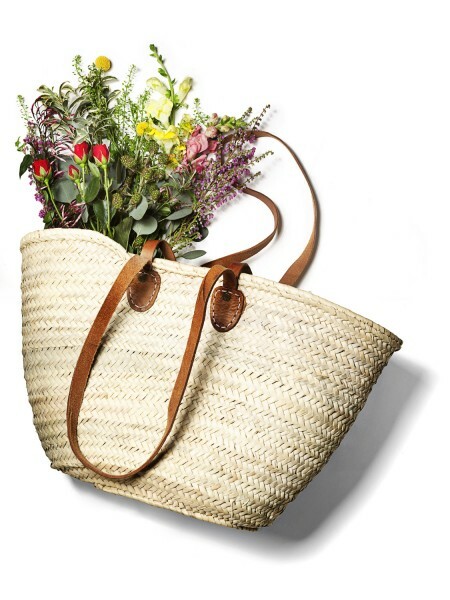 Since I always go to the farmer’s market with a crumpled Whole Foods bag or some canvas number with a radio station’s logo on it, I think it’s high time I became properly accessorized with this classic French Market Tote, don’t you? The one shown here is from White Nest, but at the moment it looks like they only have the junior totes in stock. (I guess a lot of people are on the same page.) Here’s another option from Olive & Branch that looks pretty good. What about you guys? What’s on the wish list? Besides Dinner: A Love Story? Hint hint. Thanks DALS for mentioning our beautiful basket! We love them too! Just ordered three of the bags from White Nest, on the power of your post! One for mom, my sis and me. Great Mother’s Day idea! Love your blog and your book! I want Ruhlman’s new book Egg. Then quiet time to look through it. I love the dresses for women at Winter Water Factory. They’re whimsical and sophisticated at the same time. And very me!